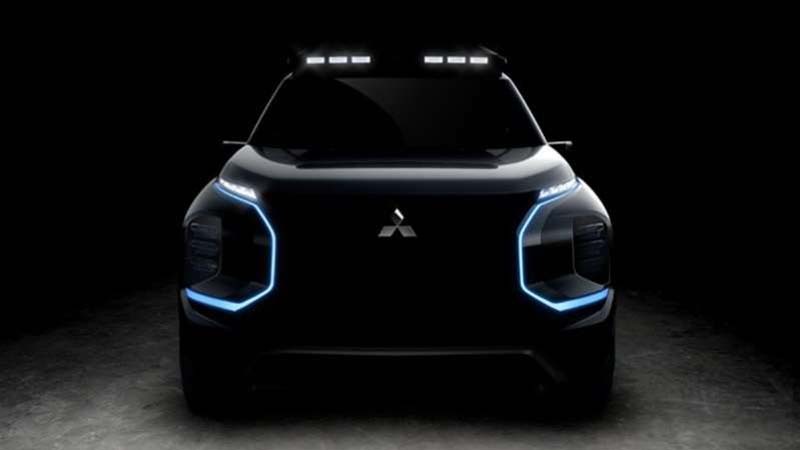 News from Mitsubishi comes pretty slow these days, but it looks like something new is arriving at the 2019 Geneva Motor Show. Today, the Japanese automaker revealed a teaser for a vehicle called the Engelberg Tourer, set to debut in early March this year. Details are vague, but we'll break down what we know. Mitsubishi says it's bringing "more SUV, more EV, more technology and more style." We'll be the judge of that last one—the Eclipse Cross is evidence enough for apprehension about Mitsubishi "style." What we appear to be looking at is an electric crossover concept, similar to Mitsubishi's other recent crossover EV concept. This one looks a bit different from the front, though. Then there's the name: Engelberg Tourer. Admittedly, it's a peculiar name for a concept car, but Mitsubishi says it's named after a rugged Alpine town in Switzerland with a history of sporting success. A quick internet search doesn't turn up much in the way of automotive history there, but it does appear to have some rally and off-roading heritage. Based on the rugged look of the front-end, we imagine this SUV is designed for fun once you've left the pavement. The slick blue lighting up front hints at the concept's electric powertrain. In the teaser, the light bars up top look sleek and minimal compared to massive units we see on some off-roading machines. It appears as though Mitsu is planning to show off camera side mirror tech in this concept, too. We'll have more news on Geneva and this Mitsubishi concept in the lead up to the show at the beginning of March, so stay tuned.